Want to copy text from right click disabled websites? Learn how to enable right click on websites that disable it and copy text from websites that don’t allow copying. So one fine day you were surfing the internet and came across an interesting article which you thought of saving to show your friends or family members, but just as you clicked right mouse button then you see that right click isn’t working there. 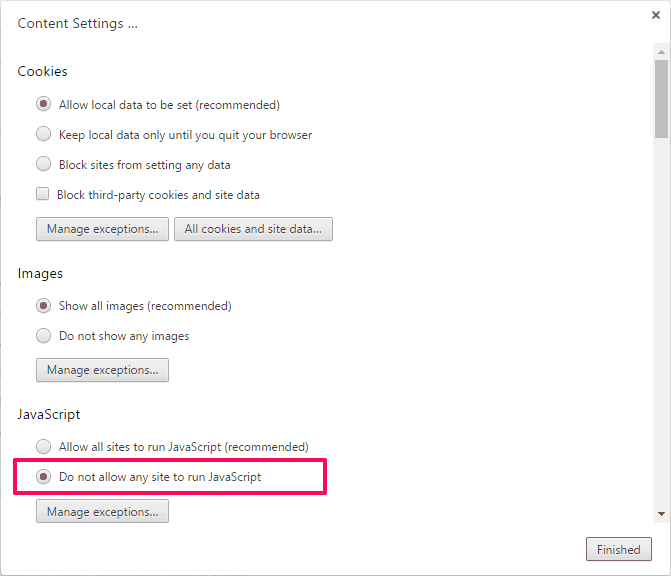 Because the webmaster has blocked right click feature on their website and this is the main reason you are unable to right click on that web page in order to copy text or save images. If you browse the web regularly, you will find a lot of right click disabled websites on the internet which display messages like “Right-Click on this site is disabled. Hold Ctrl key and click on the link to open in new tab” or “Sorry, this functionality has been disabled by the administrator” etc. The main reason why people disable right click or CTRL +C option is so that they can prevent their site from being copied and protect their website from hackers and malicious programs. But what if you want to really save the interesting read you just had? In this case, you can use some interesting tricks to copy text from right click disabled websites or just bypass right click block on any website. In this tutorial, we are explaining in details how to enable right click on websites that have disabled it. All you have to do is apply few simple right click bypass arrangements as instructed below and you will be able to copy from right click disabled websites. But copying text from protected web page is not an extremely difficult task because there are plenty of methods available on the web which can be used to copy text from web page that cannot be copied. Yes, it’s true! And today we are going to show you some of the most simple ways to copy from right click disabled websites. Here we go. Step (1): First of all, click on the Gear icon (three dots) located in the top right corner and then select Settings option. Step (4): Finally, click on the “Done” button to save the changes. If you are still wondering how to enable right click on websites that disable it then you can follow this simplest method which is – Saving Webpage as HTML. All you have to do is save the webpage on your computer by pressing Ctrl + S keys. 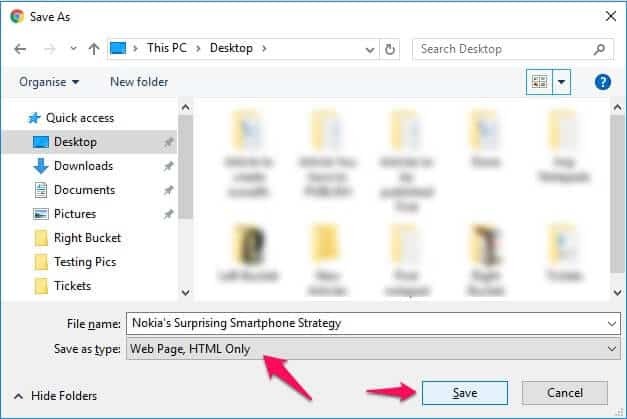 The web page will be saved on your PC and you can access all the contents locally from your computer just by double-clicking on it. According to many internet users, saving Webpage as HTML is the best way to copy text from right click disabled websites. Source Code of a website can also help you a lot if the right click is blocked on that particular website. In order to copy text from protected web page, you have to first of all open that website where right click is disabled and then press Ctrl + U keys together. Pressing Ctrl + U keys will open the Source code page of that website and from here, you can use right click and then copy the text which you want to save yourself. This method is quite useful for Google Chrome users as we are going to use a Google Chrome extension for enabling right click on websites that have disabled it. In this method, you have to just install the RightToCopy extension on your Google Chrome web browser and then open the website where right click is disabled. You will notice that now you are able to right-click and copy images or text according to your wish. Even, a simple web proxy service can also fix the issue “Right-Click on this site is disabled. Hold Ctrl key and click on the link to open in new tab” and allow you to copy text from websites that don’t allow copying. FilterBypass is a well-known anonymous web proxy service which allows accessing blocked websites and surfing anonymously. It will perfectly help you in right clicking the web pages that don’t allow right clicks. Simply, open FilterByPass on your web browser and type the URL of the website you want to copy from. Select “Remove Scripts” option and click on Surf button. Now you will be able to view the webpage without any scripts which mean that you can access that website and even copy content which you need to. So, these are some of the best methods which anyone can follow in order to enable right click on websites that have disabled it. If there are any other helpful tricks which you are following to copy text and save images on right click disabled websites then please share with us using the comments section below. Did you find this guide “how to copy text from websites that don’t allow copying” guide useful for you? Your article is great tutorial for me and other users. And your tutorial is really amazingly informative and helpful. Really you have described everything in descriptive, simply yet effective too. You’ve done a great job with this. Thanks to share this informative article. Well, it’s really great to know that you liked the above-explained methods to Copy Text from Right Click Disabled Websites. Keep reading, more awesome stuff here.